Cataracts are the natural clouding of the eye lens; something some say will develop in everyone’s eyes by the age of 75. Cataracts cannot be reversed, only prevented. Surgery is the only treatment for cataracts. ReLACS, Refractive Laser Assisted Cataract Surgery, is a new LASER Cataract Surgery. Dr. John Berdahl explains ReLACS in this long yet interesting way: “We do that [cataract surgery] with a number of different technologies; one of them is a femtosecond laser that takes the most precise steps of cataract surgery, takes it out of my hands, and the laser does it. Now, my hands are good, but they just can’t compete with the precision that comes along with the laser. But there are a lot of other things that go into that. What often goes along with cataract surgery, in order to reduce any effects of glaucoma, is something called a Glaukos Istent. It is the smallest device ever implanted in humans. 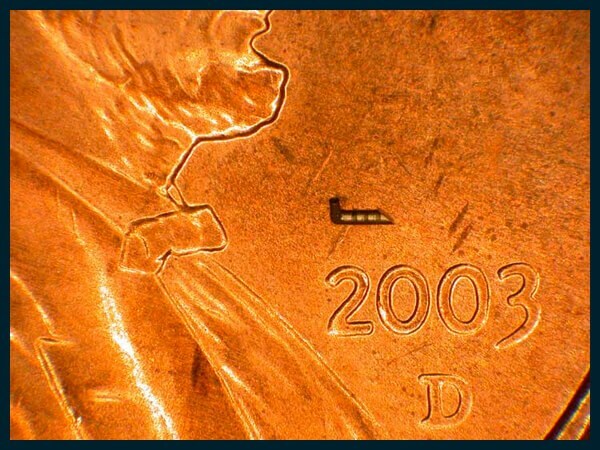 Dr. John Berdahl describes it as, “It is tiny. It fits into the ridge of a fingerprint. It’s about as tall as the “1” on the date of a penny. So, it’s tiny.” The device is placed into the drainage pathway on the inside of the eye. This way, all of the drainage stays internal to the eye but still lowers the pressure built up within it. This stent is a great advance because it’s much safer than the other big glaucoma surgeries. 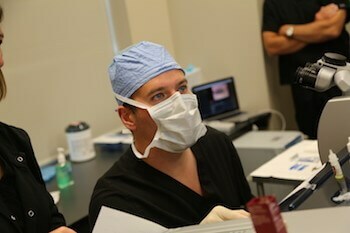 It is also a much more comfortable surgery, which makes the staff at Vance Thompson Vision happy to hear. “Glaucoma is a big deal,” explains Dr. John Berdahl. “It’s the second leading cause of blindness in the world and when the damage occurs, we can’t undo it.” This being said, the stent is a big advantage and could greatly help prevent blindness. In many cases you can actually combine the ReLACS with a Glaukos Istent implantation. This combination is possible because the stent doesn’t change refraction, the visual acuity outcomes of the eye, like other glaucoma surgeries. With the improvements of combining these surgeries, we can make a patient’s life a lot better because now they’re seeing clearer, they don’t have to wear glasses as much, and they don’t have to take as many glaucoma eye drops. Dr. John Berdahl continues to educate surgeons, help make developments to the Glaukos Istent, and improve eye care across the globe.